Explore the art of French, engage with its cultures and rediscover your own through others' perspectives. The Department of French Studies offers about 30 courses in French language, literature and culture. Students build linguistic skills from beginning through advanced levels in grammar, phonetics and composition and use state-of-the-art technology to assist in their learning. Based on an interdisciplinary approach, course work in French studies examines issues such as immigration, secularism, identity, gender and education across space (France and Francophone countries) and time, and at the crossroads of literary studies, art, history, linguistics and social sciences. The study of foreign languages and cultures lies at the heart of a liberal education, for it opens the mind to a fuller understanding of the world. As such, the Department of French Studies carries out its mission across departmental, disciplinary and institutional boundaries, and by directing and overseeing Smith's Study Abroad programs in Paris and Geneva. Above: Paris cityscape from the top of the Arc de Triomphe. Picture taken by Collin Benedict '16 during her junior year abroad. Please enjoy this delightful quick read by Janet Pocorobba ’89 about her time studying with our own Mlle Gantrel! Filmed in Paris while Ray Van Huizen and Ella Martin-Gachot were studying abroad, this new documentary explores the relationship that people in the LGBTQIA+ communities of Paris have with the concepts of home and public space. Streaming here with French subtitles, and here for subtitles in English. On the January 13 program of “Occupy the Airwaves” on Valley Free Radio, Smith French studies professors Martine Gantrel and Christiane Métral discussed the various facets and implications of the ‘yellow vest’ movement in France. Head on over to Mount Holyoke’s website to read an interview with Carolyn Shread on translation as a political act. Are you interested in learning more about world cultures and exploring opportunities available to you at Smith and beyond? Make sure to check out the college’s Global Learning pages. The French table meets for lunch and French conversation every Monday that school is in session during the fall and spring semesters, rotating every other week between Duckett A and Duckett B. As students learn and master the French language, they gain the ability to listen and speak articulately; read and analyze texts, cultural artifacts and digital media critically; and write clearly. As they explore French and Francophone cultures, society, history, institutions and thought, they develop historical and comparative depth of perspective. As they take courses in other departments and/or programs, they build an interdisciplinary framework to develop a comprehensive and nuanced understanding of the French and Francophone world. As they engage with communities beyond Smith through study, internships, volunteer and other work opportunities abroad, they become global citizens who value tolerance, appreciate diversity and thereby become prepared to face the challenges of living in a rapidly changing world. Eglal Doss-Quinby, Dawn Fulton, Martine Gantrel, Jonathan Gosnell, Ann Leone, Mehammed Mack, Janie Vanpée and Hélène Visentin. Three additional 4-credit courses in French studies at the 300 level or higher, of which two must be taken in the senior year. In consultation with her major adviser, a student may count toward the major up to two 4-credit courses taught in English provided they are related to French studies, and up to two 4-credit courses in fields unrelated to French studies provided they are taught in French. All students are encouraged to fulfill requirement #3. It will be in effect beginning with the class of 2020. No more than one course counting toward the major may be taken for an S/U grade. Students considering graduate school in the humanities are encouraged to take CLT 300 Literary Theory and Literary Practice: Conflicts and Consensus. 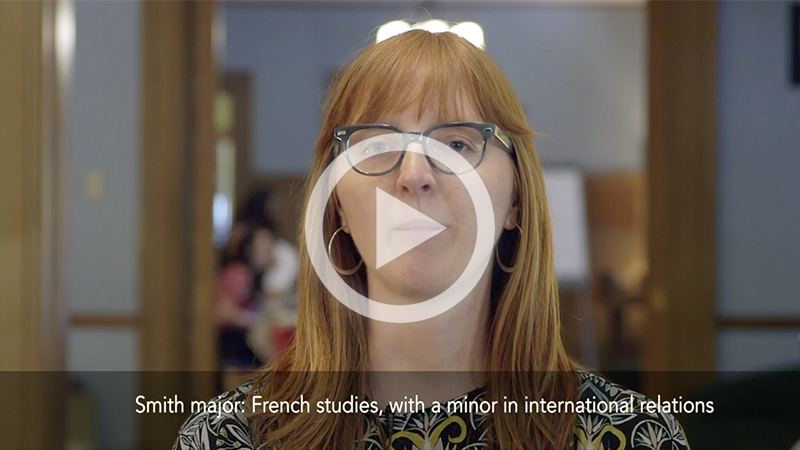 The Department of French Studies offers an online placement exam to test students' proficiency in reading, writing and understanding spoken French. The exam is accessible on Moodle and is open through the registration period. To access the test after registration, please email Dawn Fulton. Students who have taken at least one year of French but have not taken the ETS French Achievement or Advanced Placement tests should take this exam. Even if you have taken those tests, we encourage all students to take the placement exam; it helps the department in advising students about course selection. Under the guidance of their major adviser, students are asked to self-assess their proficiency in French, using tools created by the Common European Framework of Reference for Languages (CEFR), an internationally recognized set of guidelines used across Europe to describe foreign language proficiency in listening, reading, speaking and writing according to reference levels from A1 to C2. Students enrolled in the Smith Program Abroad in Paris are required to take the TCF (Test de Connaissance du Français, the equivalent of the TOEFL for English speakers) in the spring semester prior to their departure and at the end of their junior year abroad. The TCF is an official French language test administered by the French Ministry of Education, which evaluates student proficiency from A1 to C2 according to the CEFR standard. Students enrolled in the Smith Program Abroad in Geneva take a similar test upon their arrival in Geneva and before their departure. The honors program is for French studies majors who desire to conduct independent research on a specific aspect of French or Francophone literature or culture during their senior year. Students are eligible to apply for the honors program either at the completion of the second semester of their junior year or before the end of the second week of classes in September of their senior year. A student who applies to do honors work must have a 3.5 GPA in French studies. Honors students work closely with a faculty adviser to conceptualize and carry out study that culminates in a paper of about 50-80 pages in length or an equivalent project; this work is done either as FRN 430d (a full-year, 8 credit course, with thesis or project due by mid April of the senior year) or FRN 431 (a fall-semester, 8-credit course, with thesis or project due on the first day of the second semester of the senior year). The thesis or project may be presented in either English or French; the choice of language must be approved by the thesis adviser and the director of honors. FRN 430d or FRN 431 may substitute for one of the two 300-level French courses required in the senior year to complete the French studies major. How should I prepare to do an honors thesis? Students contemplating honors work should begin talking to professors in their area of interest during their junior year, at the latest. Many honors projects have developed from interests fostered by course work done at Smith or on a Junior Year Abroad. How do I find an honors thesis adviser? Most students use course experience or consult the department website to identify professors whose research interests coincide with theirs. The departmental director of honors can also be a resource for matching student interests to faculty expertise. The next step is to contact the relevant faculty member(s) to discuss the possibility of doing an honors project. How do I apply for honors? Interested students should consult the departmental honors section of the class deans website for complete information on applying for honors and for information on funding resources. Can I do honors if I go abroad junior year? Yes. In fact, many honors projects ideas begin on a Junior Year Abroad program. You should be prepared to approach your potential Smith adviser while you are still abroad. What are the benefits of doing a thesis or honors project? The honors project provides you the unique opportunity of immersing yourself in a research project to greater depth than anything else you will experience in your undergraduate studies. 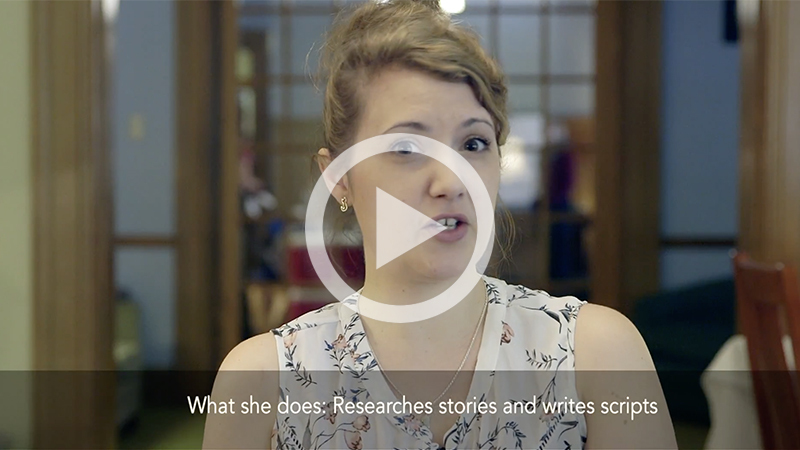 Your research and writing skills will develop immensely during the process. Many students derive great satisfaction from bringing an idea to full development and expression in an honors project. What are the disadvantages to doing an honors thesis? A thesis requires an enormous commitment of time and intellectual energy. The 8-credit thesis may mean that you take fewer courses during your senior year, which may limit your options for studying a wide variety of subjects. Some students report being intimidated by the writing commitment. However, if you think of the thesis as a related group of 3-4 papers, each 15-20 pages in length, accompanied by an introduction and conclusion, the task becomes feasible. All classes and exams are conducted in French with the exception of cross-listed courses, unless otherwise indicated. A gateway to more advanced courses. These colloquia develop skills in expository writing and critical thinking in French. Materials include novels, films, essays and cultural documents. Students may receive credit for only one section of 230. Enrollment limited to 18. Basis for the major. Prerequisite: 220, or permission of the instructor. A broad overview of the different media and their histories in the French and Francophone world as well as an overview of French social, economic, political and cultural issues. Students acquire essential tools for media analysis: identifying political orientation, detecting bias, tracking controversies over time, putting quotes in context, and identifying missing voices in the narrative. Students can expect to read the leading newspapers every week and grapple with events as they happen. Prerequisite: 230, or permission of the instructor. An introduction to the study of French and Francophone film. Readings in film criticism. Papers and attendance at weekly screenings required. Course taught in French. Prerequisite: 230, or permission of the instructor. Course may be repeated for credit with a different topic. Prerequisite: two courses in French studies above 230 or permission of the instructor. Course numbers reflect chronological periods and not the level of difficulty. CLT 242 What and Where is Main Street? Special studies provide a way for students to explore a particular topic or issue not taught in any course offered by the Department of French Studies and in the Five Colleges during the academic year of the proposed special studies.  Students work with a faculty adviser to create a syllabus comprising the description of the proposed special studies, a list of readings, work expectations, assignments and a timeline. The faculty adviser then brings the proposed course description and syllabus to the department for a formal vote. The faculty adviser and the student normally meet weekly for an hour. Students are expected to write, at a minimum, a 20-page paper, or the equivalent. All work is conducted in French. Special studies carry 4 credits. The final grade is based on a separate grade to evaluate participation and preparation in addition to the grade given to the final paper. Prerequisites: at least two 300-level courses in French studies; previous coursework on a relevant topic is strongly recommended. In accordance with college policy, an exceptional special studies can be converted into an honors thesis. See the class deans website for information about departmental honors. Normally, FRN 404 cannot be repeated for credit. Prizes and fellowships are available to students studying French at Smith and on Junior Year Abroad (JYA) programs. Students interested in information about these prizes should consult the director of honors, or in the case of prizes and fellowships awarded to students on the JYA programs in Paris or Geneva, the current director of that program. Students interested in the Killam fellowship to Canadian universities should consult the director of graduate studies. Formatting instructions for Colette, Césaire and Voltaire prize papers and cover sheets follows. Please note: Colette, Césaire and Voltaire prize papers must be received before 4 p.m. on the final day of spring exams. Awarded to a first-year student or a sophomore at Smith College for an essay or other project in French that shows originality and engagement with her subject. Submissions for prizes must be presented in person to Jennifer Blackburn in the French Studies office, Wright 102, no later than the last day of the spring semester examination period. Please submit the original hard-copy version of your essay or project, along with any and all professor comments, corrections and grades; if multiple drafts were evaluated by your professor, please submit all of them.Submissions will be judged anonymously. Note: FRN 220 papers, no matter one’s class year, can only be submitted for the Colette Prize. Awarded for excellence in an essay or other project in French by a junior or a senior on campus. Submissions for prizes must be presented in person to Jennifer Blackburn in the French Studies office, Wright 102, no later than the last day of the spring semester examination period. Please submit the original hard-copy version of your essay or project, along with any and all professor comments, corrections and grades; if multiple drafts were evaluated by your professor, please submit all of them. Submissions will be judged anonymously. Note: FRN 220 papers, no matter one’s class year, can only be submitted for the Colette Prize. Awarded to a student at Smith College for an essay turned in as part of FRN 220, that shows originality and engagement with her subject. Submissions for prizes must be presented in person to Jennifer Blackburn in the Department of French Studies office (Wright 102), no later than the last day of the spring semester examination period. Please submit the original hard-copy version of your essay or project, along with any and all professor comments, corrections and grades; if multiple drafts were evaluated by your professor, please submit all of them. Submissions will be judged anonymously. Awarded to one or more students studying on the JYA program in Paris. Awarded annually to a member of the junior or senior class studying with the Smith College program in Geneva. Funds up to five students on the Smith College JYA programs who design a project to be carried out during the summer after their academic year on the JYA program. The fellowship provides the opportunity for students to travel widely in the country of their program. Sponsors a student wishing to undertake a full-time internship during the summer after her studies on the JYA program in Geneva. Sponsors a student wishing to undertake an internship during the summer after her studies on the JYA program in Paris, or in Geneva, if there should be no candidates from the Paris program. Enables a Smith student to study in a Canadian university either for a year or for a semester. For more information, see the Fellowships website. Smith's long-established study abroad programs in Geneva and Paris attract about 30 students each year. Students live in university housing or with French-speaking families, attend classes with their French and European peers, and come back with near-native language skills and a real understanding of the culture. Majors find that this experience opens doors to careers in international relations, business, law, art and teaching. Majors in French studies who spend the year in Paris or Geneva will normally meet certain requirements for the major during that year. French-speaking students live abroad for a full year in a French home. Students study at the Paris universities with Smith program courses offered by French professors, volunteering, interning and enjoying excursions and cultural activities in a select group of 25 students. Students are advised by a Smith faculty director and a Parisian associate director at the beautiful Reid Hall Smith Center in Montparnasse. Learn more on the Study Abroad website. Two years or the equivalent of college-level French, normally four four-credit courses, including one course at the 250 level or above in the spring semester of the year before study in Paris. Students who enter Smith at the 230 level or above are required to take at least three semesters of French prior to study in Paris, including one course at the 250 level or above in the spring semester of the year before study in Paris. Students beginning French with FRN 101 and 102 must take three four-credit French courses in their sophomore year, including one at the 250 level or higher in the semester prior to study in Paris. Les Sciences à Paris is a yearlong program designed explicitly to support students in the sciences, mathematics and engineering. Coursework, research opportunities and tutoring are combined into a customized curriculum enabling science students to experience the rich scientific traditions of France, acquire competence in French and experience the practice of science in an international context. Students with at least one year of college-level French or the equivalent are invited to apply. Enroll in four to five Smith Center and university courses each semester in either French or English, including a French language course. Available for the academic year for students with two years of college-level French or equivalent; and spring for students with at least one year of French or equivalent. Can I study in Paris or Geneva if I'm not a French major? Yes, most definitively! Smith's JYA programs accomodate a wide range of majors. Can I apply if I began French at Smith with FRN 101 and FRN 102? Yes, but you will need to take three 4-credit French courses in your sophomore year. How many French courses do I need if I studied French before I came to Smith? Students going on the Smith College Study Abroad Program in Paris must have two years or the equivalent of college-level French, normally four four-credit courses, including one course at the 250 level or above in the spring semester of the year before study in Paris. Students who enter Smith at the FRN 230 level or above are required to take at least three semesters of French prior to study in Paris, including one course at the 250 level or above in the spring semester of the year before study in Paris. Students interested in either of the academic options offered on the Smith College Junior Year Abroad in Geneva are encouraged to begin study of French and to pursue it prior to departure. Students on any track (A, B, and C) will study French language, or particular subjects of interest in French, while in Switzerland. Are there courses recommended for preparation for study abroad on Smith's Paris or Geneva programs? All courses at the 230 level and above will prepare you for study abroad in Paris and Geneva. Where can I learn more about study abroad? For more information, consult the French Studies study abroad advisers. French is spoken on five continents and in 29 countries. French means citizenship in a multinational, multicultural, multireligious world. French is a global language, a language of diplomacy and one of the six official languages of the United Nations. French means jobs. More than 4,600 French companies conduct business in the United States and employ over 650,000 Americans. French is the language of the future, as it is one of the most rapidly expanding languages in the world. French also is the second most frequently taught language worldwide after English. French means exciting travel to places such as Broc, Switzerland, where you can make chocolate bars at the Maison Cailler Factory Workshop like these students in the 2016 Smith Study Abroad program in Geneva! Those majoring in and studying French can pursue many different careers. Graduates have gone on to teach at all levels; work in the foreign service, Peace Corps or in the arts; study law, business and medicine; and pursue advanced degrees in French literature, music, translation and theater. Some go to France or Geneva to continue studies or to work. Every year a number of French majors also successfully apply for one of the 1,500 openings for French teaching assistantships to teach English in a French lycée. Consult the Teaching Assistant Program in France site for the latest information on how to apply. Smith offers study abroad in Florence, Hamburg, Geneva and Paris, as well as numerous programs around the world. Students are encouraged to apply for international and domestic fellowships. Each year several French majors successfully apply for a teaching assistantship in a French lycée.